Four Corners Equine Rescue has been in constant communication with the New Mexico Livestock Board since the NMLB rounded up 12 horses from the Unites States Forest Service land two weeks ago. Most of the branded horses have been returned to their owners, but three mares - Pomona, Ruth and Shanti - have gone unclaimed. Yesterday all three were delivered to FCER. And they are pregnant. Pomona has actually already delivered her Spring Gift to the World - a beautiful colt we have named Spatz. They are not wild and fearful of humans, but are not touchable either. Pomona is especially remote as she is protecting her baby from humans. Shanti is a beautiful black mare that looks to be ready to deliver her gift any day. Ruth is of the most concern. She is thin and appears to have a hard time eating. Her chewing is slow, deliberate, and obviously causes her pain. We need to get her seen by the vet ASAP. To do that we have to be able to handle her. We need a trainer to work with Ruth, and for that we need funding. We're hoping we have time to get this done before she foals. Although it is difficult to guess when she is due, we think we have a couple of weeks. These ladies need your help. The most immediate need is for feed, of course. 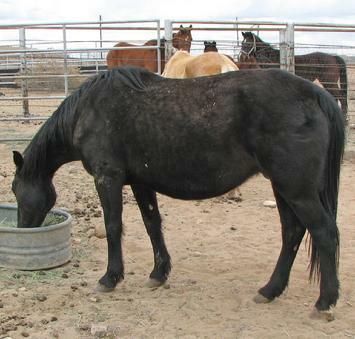 Pregnant mares or mares with foals consume one and a half to twice as much food as a horse that is not pregnant. Hay for a day will cost $6. We estimate it will cost $800 to get all the mares able to be handled. We're budgeting $300 for Ruth. Secondary to the above critical issues, the horses - mares and foals - will need their vaccinations, which run $100 per horse. 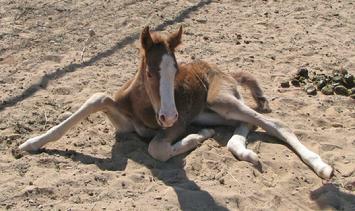 Please consider making a donation to help these horses. Even $6 will pay for hay for a day. Sponsoring is another option. Sponsorships are a longer term commitment for a specific horse. 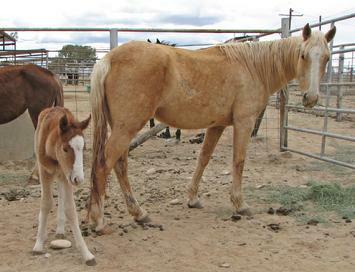 These mares and foals will remain together at FCER until the foals are ready to be weaned at about 6 months. 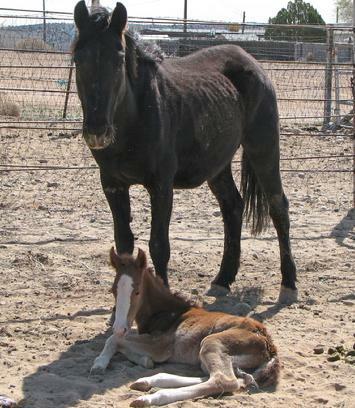 Sponsorships are $175 per month, which covers feed and hoof care for the Mom. And we'll send you photos of the babies! Or if you'd like to help with the training, any amount would be a big help. These Moms to be didn't ask for the circumstances they find themselves in. Irresponsible horse owners are the culprits. 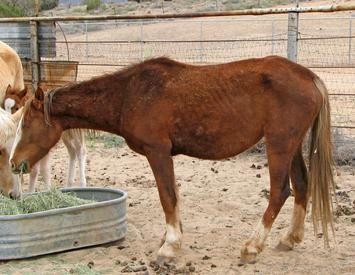 Please help us take these horses to a new beginning with a positive life in front of them. Every baby should get that chance.